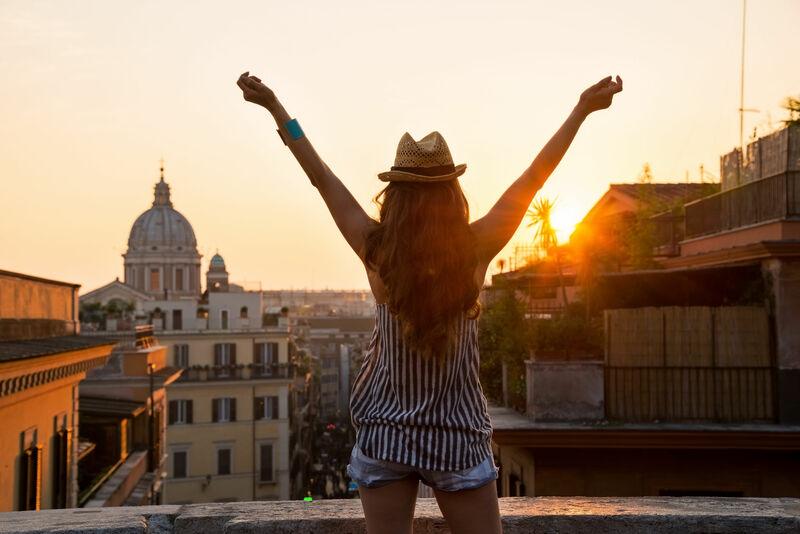 Italy no doubt has some of the most awe-inspiring and ravishing artifacts, which are as breathtaking as the wonders of the world. But there is one place much more majestic than the man-made marvels, which can no less be defined as a divine experience- the blue grotto. The grotto is a synonym of the cave. 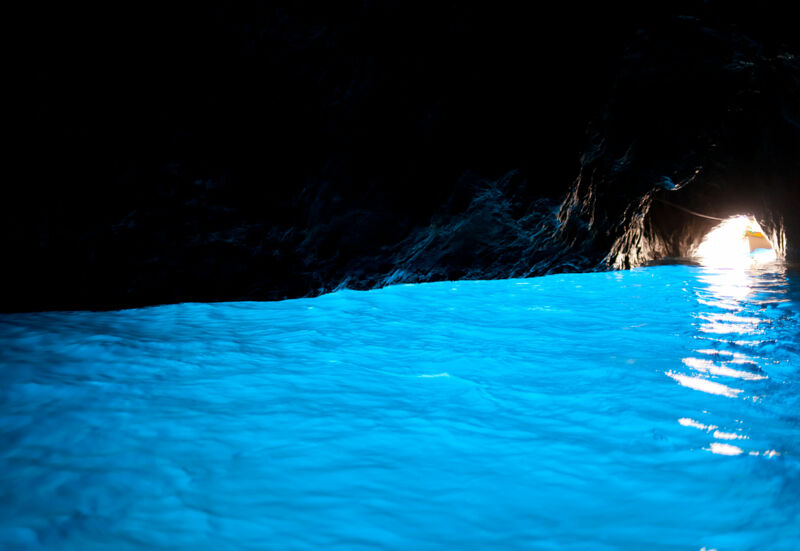 The water inside the cave and the walls appear absolute blue, hence the name, blue grotto. The enigmatic cave seems like a giant lava lamp from the inside, with the azure water glowing beneath you. From a few miles away from the southern tip of the crescent in the bay of Naples is the tiny island of Capri. 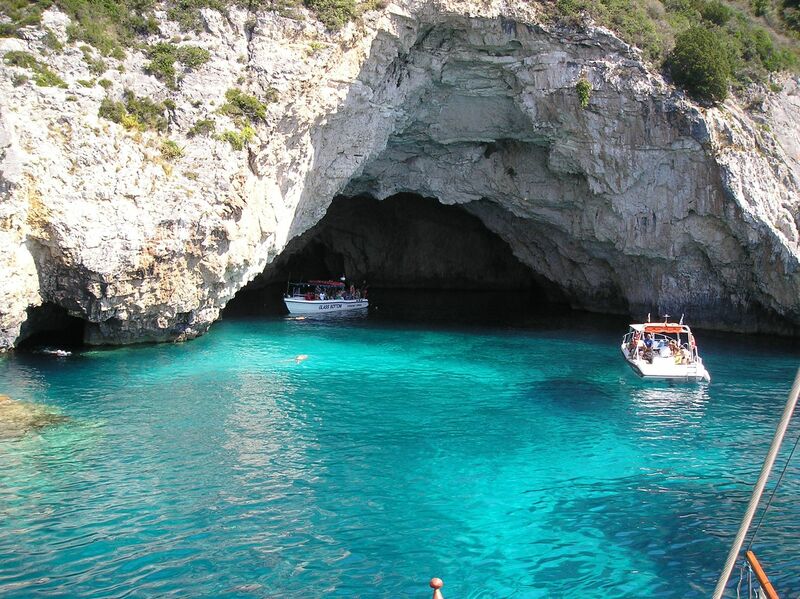 The subliminal beautiful cave, the blue grotto is located on the northern coast of this island. History has it that in 27 AD, the then emperor of Rome, Tiberius moved his capital to the island of Capri and converted the grotto in a nymphaeum. The blue cave was embellished by statues which were found in the 20th century and are a proof of Tiberius’ larger than life persona. After Tiberius’s time, for long the locals forbade the grotto and was known as Gradola. They believed the cave was inhabited by monsters and demons. The abandonment was right up till the early 19th century and in 1826 the grotto was rediscovered by the German poet August Kopisch. Since then the blue grotto has been known to the world in its newest glory and eventually turned into a buzzing tourist spot. 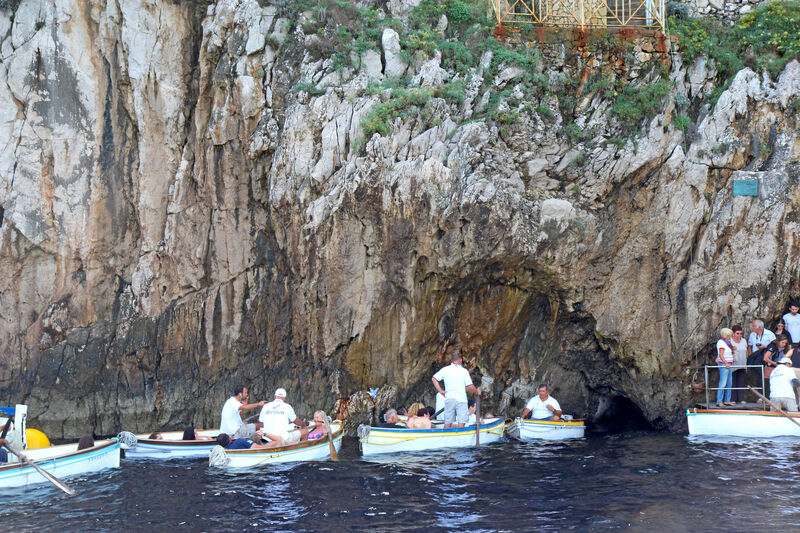 How to visit the Blue Grotto? The shortest route to reach the island of Capri is from Sorrento as it is a 20-minute ferry ride, although it can be reached from Amalfi, Positano, and Naples too. 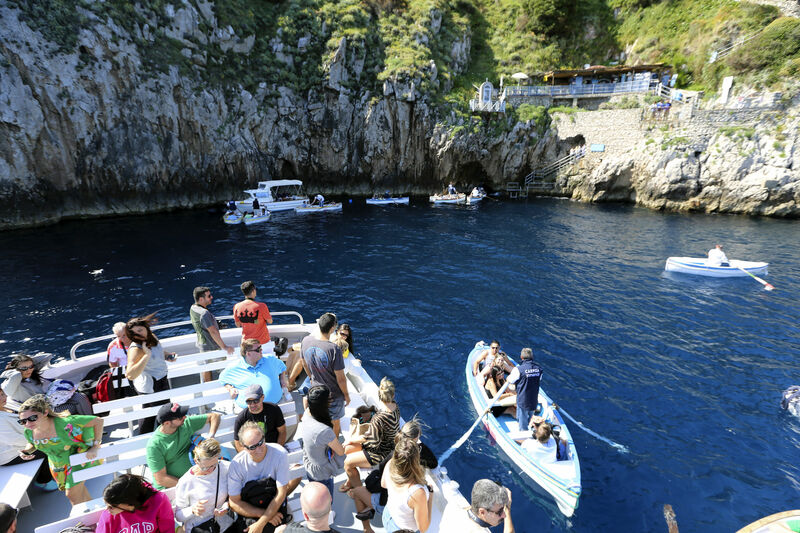 The best time to visit the blue grotto is when the tides are low, although the opening and closing completely depend on the weather of the day. One needs to have a lot of patience to witness the natural splendor. Even when the sea is calm and the tides are low, there is one thing which could make you weary and that is the sun. The waiting queue could stretch to an hour and beyond. Finally when it is your turn, be prepared to sneak in like a mouse as the entrance of the grotto is very small. You need to duck to enter the cave, but once you are inside it feels you are at the other end of a wormhole. The walls of the grotto are all blue due to the reflection of the blue water and it is nothing short of a divine experience. The cost of the ticket to the cave is €13 which one can get from the floating ticket office. If the split would help you, €9 is for the rowboat and €4 is for the entry. The entry is completely free for the children below 18. Although if you are from the EU and age between 18 and 25, you are entitled to get a 50% discount on the entry ticket, costing you €11. If you could make it on the first Sunday of any month you get to enter the grotto for free and you only pay for the boat service. So, is there a best time to visit the splendid grotto? Yes, the blue glow in the water is the work of the sunlight. When you plan for the visit, make sure the day is sunny, a cloudy day is not at all worth for all that hassle. The grotto is closed during the winters. Next time you plan an Italian vacation, consider visiting Naples on the western coast to experience the magnificent blue grotto on Capri island. Book your tours to Capri on www.benvenutolimos.com.